How we save money on diapers without sacrificing quality. With Lilly we cloth diapered full time, and while I had full intentions of doing the same with Piper reality is I just can't keep up. But I am very conscious of the chemicals I expose my children to and the chemicals in diapers especually make me cringe. We have stuck to using eco friendly brands but diapers are already costly, so spending those few extra dollars can be annoying. We discovered Bamboo Nature a few months ago and decided to give them a try. They are free from chlorine, perfumes, optical brighteners, and lotions, the inner fluff is made from sustainable resources, and the core is phalate free. 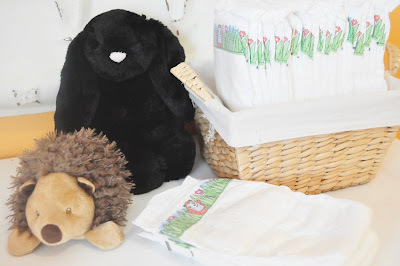 We instantly were impressed with the diapers from Bamboo Nature. There has been no leaking or skin reactions. But guys, here is the BEST part. When you order Bamboo Diapers online not only can you purchase by the case but you can subscribe and save 10% which breaks it down to a little over $11 a package. Seriously such a GREAT deal on eco friendly diapers. Moral of the story, I know where we will be getting diapers from now on.